The St. Louis Cardinals system went 4-2 on Wednesday. Johnson City’s Noel De Jesus is the Player of the Day after throwing seven scoreless innings. Another mound standout is Franyel Casadilla of State College. Recaps from games played on Wednesday, June 20. The Redbirds were off Wednesday as they traveled back to Memphis from El Paso. On Thursday, the Redbirds will start a series with the New Orleans Baby Cakes at 7:05 PM Central time. John Gant (5-1, 1.65) will take the mound for the first place Triple-A club. 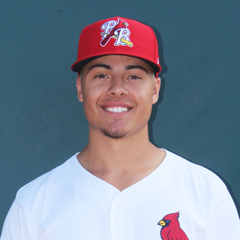 With one run in the top of the first inning serving as their offense, the Cardinals dropped Wednesday’s contest in Tulsa by a 7-1 score to the Drillers. Third baseman Evan Mendoza drove in Springfield’s lone run with a two-out double to score shortstop Edmundo Sosa. 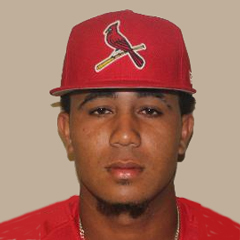 Mendoza tallied three of seven Cardinals hits in the game. Tommy Edman had the only other extra-base hit, a double, for Springfield. Starter Jake Woodford dropped to 3-8 this season with four runs allowed on two home runs in four innings. Jason Zgardowski surrendered three runs across the fifth and sixth innings before Austin Sexton logged two perfect innings to finish out the night. Thursday’s game: Mike O’Reilly (2-2, 4.07) vs. Arkansas Travelers, 7:10 PM Central time. Wednesday’s game between the Cardinals and Tortugas in Daytona Beach was cancelled. The Cardinals will continue play on Thursday at home against the Charlotte Stone Crabs. Austin Warner (3-3, 3.41) will get the start at 5:30 PM Central time. Wednesday was the final day of the All-Star break for the Chiefs and the rest of the Class-A Midwest League. Peoria will host the Burlington Bees on Thursday at 7:00 PM Central time; the club has not announced its starting pitcher. Fueled by three runs in the first inning and solid pitching, the Spikes defeated the Scrappers by a 4-1 score. After third baseman Brendan Donovan scored on a balk, second baseman Wood Myers and center fielder Andres Luna each batted in a run. First baseman Brady Whalen chipped in with an RBI in the seventh to account for the fourth Spikes run. Starter Franyel Casadilla picked up his first win in his second outing of 2018. Casadilla logged six innings of one-run ball with seven punchouts. Will Changarotty pitched a scoreless seventh, and Eli Kraus earned his first save with a pair of perfect frames to close out the win. Thursday’s game: Winston Nicacio (0-0, 3.18) at West Virginia Black Bears, 6:05 PM Central time. With stellar pitching and just enough offense on their side, Johnson City blanked the Blue Jays, 2-0, on Wednesday in Bluefield. Cardinals starter Noel De Jesus turned in seven scoreless frames. De Jesus, our Player of the Day, struck out four batters, walked one, and picked up his 2018 debut. Kyle Leahy pitched two scoreless innings of relief to end the game and earn his first save. Second baseman Donivan Williams drove in a run in the top of the second inning, and first baseman Dariel Gomez smacked a solo home run in the sixth to score the second and final run of the game. Though they outscored the Blue Jays, the Cardinals were outhit three hits to seven and struck out 10 times. Thursday’s game: at Bluefield Blue Jays, 6:05 PM Central time. The Gulf Cardinals improved to 2-0 with a comeback win over their Miami neighbors in Jupiter, FL. Down 4-1 in the middle of the second and 5-3 after three, the Cards plated two in the fourth to tie and posted a four-spot in the sixth to pull away. Shortstop Raffy Ozuna led the way with three singles, a double, an RBI and two runs scored. Center fielder William Jimenez singled twice, tripled, plated two and crossed home once. Second baseman Josh Shaw also legged out a three-base hit and added a home run with two RBI. Starter Brian Pirela was charged with four earned runs in four innings, with one more unearned one coming in as well. Ozuna committed two errors and right fielder Victor Garcia had another. Dionis Zamora pitched well, yielding a lone run over the next four frames on four hits and no walks before Edgar Escobar picked up the save with a 1-2-3 ninth that included two strikeouts. Thursday’s game: at Nationals, noon Eastern. A pair of runs in the 11th inning resulted in an 8-6 victory for the Cardinals Red over the Cubs2. Catcher Christian Longa drove in the go-ahead run, scored by shortstop Franklin Soto. Right field Luis Montero scored the team’s eighth run on a wild pitch later in the inning. Soto and Montero each scored twice, while left fielder Joerlin De Los Santos led the way with two RBI. 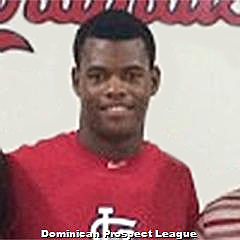 Luis Ortiz started for the Cardinals and turned in four innings of work. Five runs scored against Ortiz, but only one was earned. Ortiz fanned five batters. Relievers Jhon Victorino and Roy Garcia turned in scoreless outings, with Victorino going two innings in his Cardinals debut and Garcia working three. Nelson Prada surrendered a run in his two frames but was ultimately credited with his second win of the year. Thursday’s game: at DSL Phillies White, 9:30 AM Central time. Unable to match the Twins’ heavy scoring, the Cardinals Blue dropped Wednesday’s game by a 13-4 score. 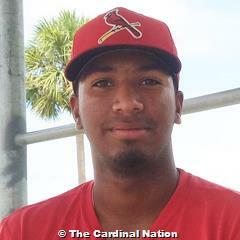 Cardinals starter Hector Soto tossed five innings, allowing seven runs (six earned) on 10 hits. Soto wore the loss to drop his record to 2-1. In relief, Leonardo Taveras allowed five earned runs in two innings, and Angel Ortega surrendered a tally in his two frames. The Cardinals went just 1-for-10 with runners in scoring position. Center fielder Diomedes Del Rio led the way with a 2-for-5 day at the plate, with a double and a triple to plate two runs. Right fielder Diowell Burgos and catcher Jose Zapata drove in a run apiece. Thursday’s game: vs. DSL Phillies Red, 9:30 AM Central time. Join The Cardinal Nation for the most comprehensive coverage of the St. Louis Cardinals from the majors through the entire minor league system. Annual members may purchase our new 193-page 2018 Prospect Guide for less than half price. Our limited edition printed version is sold out.